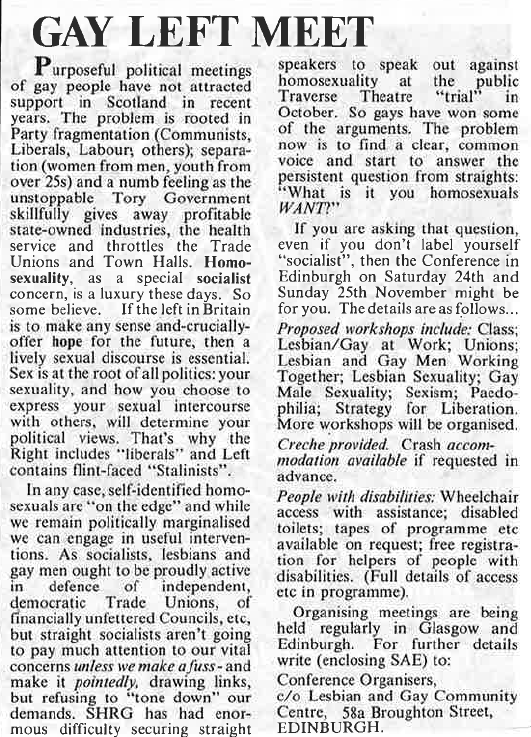 Call for Gay Left Conference, Gay Scotland, Nov/Dec 1984. What Ever Happened to Gay Lib? Max on What Ever Happened to Gay Lib? Putting the world to rights, one blog post at a time, over tea and cake. Matt Houlbrook: mobile historian; beard growing, head shaving; occasional cycling. Waiting to be found out.